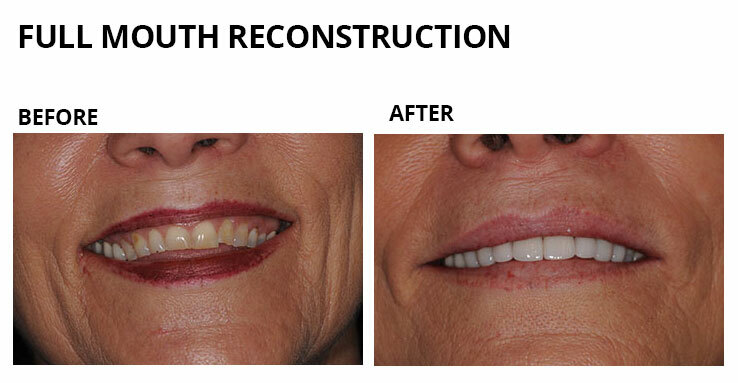 Full mouth restorative dentistry involves making repairs to the teeth and other structures within the mouth to restore proper form and function. The professional staff at the Dental Center of Lakewood will evaluate the condition of your mouth, determine what restorative measures can recreate your smile, and make your teeth more aesthetically pleasing. If you live in the greater Dallas, Texas and the Lakewood areas, the staff encourages you to contact them or schedule an appointment online if you have any questions concerning restorative procedures. What is a restorative dentistry? Restorative dentistry uses various dental procedures to improve the appearance of your teeth and restore function to your mouth. Different types of dental procedures may be performed to restore your mouth. 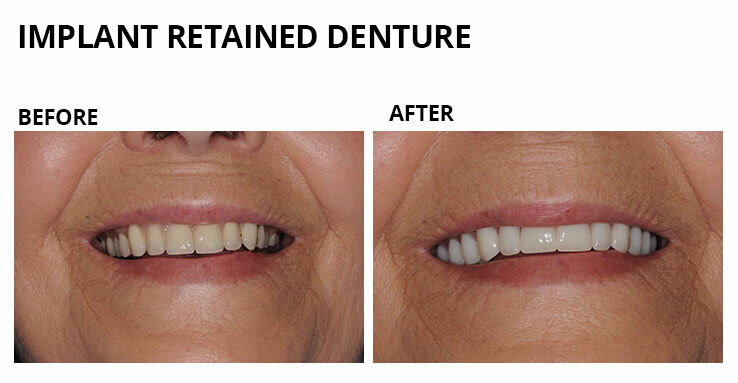 From single tooth implants, to bridges, dentures, and dental onlay, each one is customized to meet your dental needs. Depending on the procedure, you may need sedation such as nitrous oxide sedation, intravenous sedation, or oral conscious sedation. 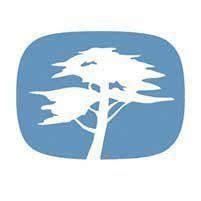 Your dentist will discuss sedation with you ahead of time, so that you can arrange a ride home if needed. What procedures are used during a restoration? 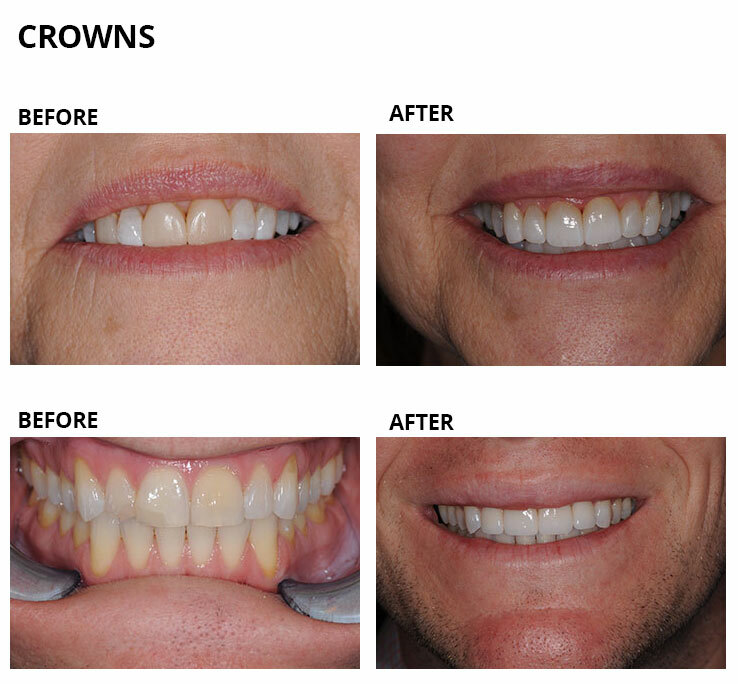 Dental crown: A crown is a porcelain restoration that encases the tooth, which covers chips, cracks, and stains. It also restores strength to the tooth, and protects it from further damage. 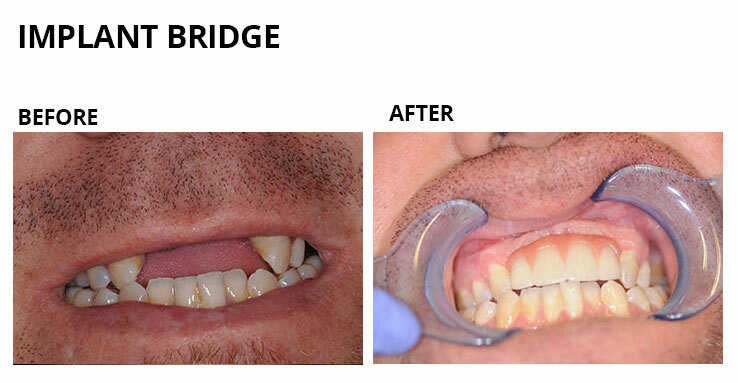 Dental bridge: Dental bridges are artificial teeth that replace missing teeth. 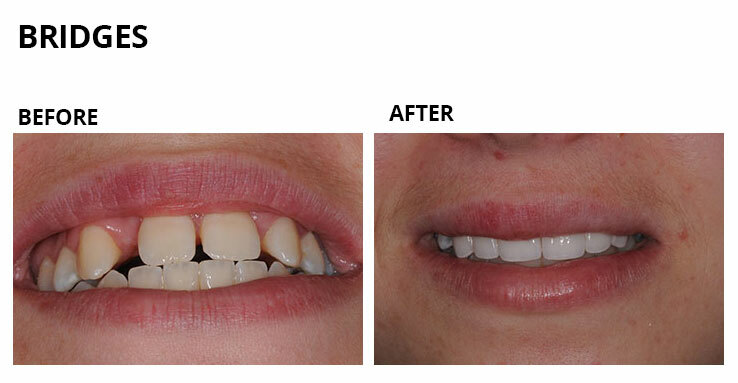 The bridge is held in place using the adjacent teeth, or with dental implants. Root canal: This is a dental procedure that removes pulp infections (the pulp is located in the center of the tooth where nerves and blood vessels reside). After the pulp is removed and the tooth cleaned, the tooth is filled with a natural dental product to maintain its strength. Crown after root canal: If the tooth has weakened after a root canal, it may need to be covered with a crown. It takes about 1-3 weeks for the crown to be made, so you’ll have a temporary crown to protect the tooth during that time. Implant-retained crown: When you’ve lost a tooth or your tooth is so damaged that it must be removed, an implant is used to hold the new crown. When is a full mouth restoration needed? A full mouth restoration may be needed if you have multiple missing, severely eroded, broken, or decayed teeth, or you’ve experienced devastating trauma to your mouth. Some congenital disorders can also be repaired using a full mouth restoration. Book an appointment online or call the Dental Center of Lakewood to schedule an evaluation if you have concerns about the health of your teeth and gums. Our dental team will determine whether you’re a good candidate for full mouth restoration, discuss all the viable dental options for restoring your teeth, and give you a brighter more confident smile.